Superstar Aquarius from Sanya offers tourists quality cruise experience with exciting destinations, choice of itineraries and breaking views of seascapes. The Assistant Vice-president of Star Cruises Yuan Ping said that they are very confident in the Sanya tourism market and plan to make Sanya a long-term winter cruise homeport. 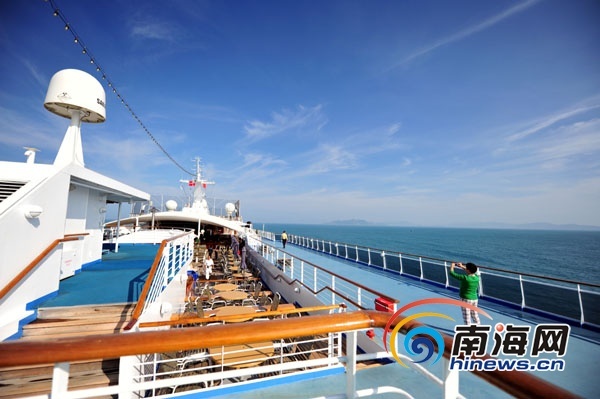 Yuan Ping also said that cruise tourism, which is thought by many more fun than land tourism, since tourists can use leisure facilities and enjoy spectacular seascapes, entertainment performances and exquisite food on board for free, is being chosen by more and more tourists. Meanwhile, holiday cruises with honeymoon and education themes are becoming very popular among tourists. Between November and the end of December 2012, the passenger traffic from cruises to Hainan was three times the amount of the same period in 2011. According to Yuan Ping, the cruise ship "SuperStar Aquarius" will leave from Hainan this February and the cruise route from Sanya to Vietnam and Hong Kong will be operated by the other cruise ship " SuperStar Gemini " which is worth 300 million yuan. After a US$50million renovation, the SuperStar Gemini will be based at its summer homeport in Shanghai from April to October and winter homeport in Sanya from November to next March.